Exposed brick walls. Vintage atmosphere. Hand-scraped wood floors. Crystal Chandeliers that fill the room with elegance. A beautiful bridal suite and rustic groom's lounge. These are just some of the amazing features offered here at The Century! CEO Erin Doran, a wedding industry expert, has been in the wedding industry since 1999 and established our beloved building in 2014 . She has been highlighted in HERLIFE magazine and was interviewed for the February issue that you can view here. 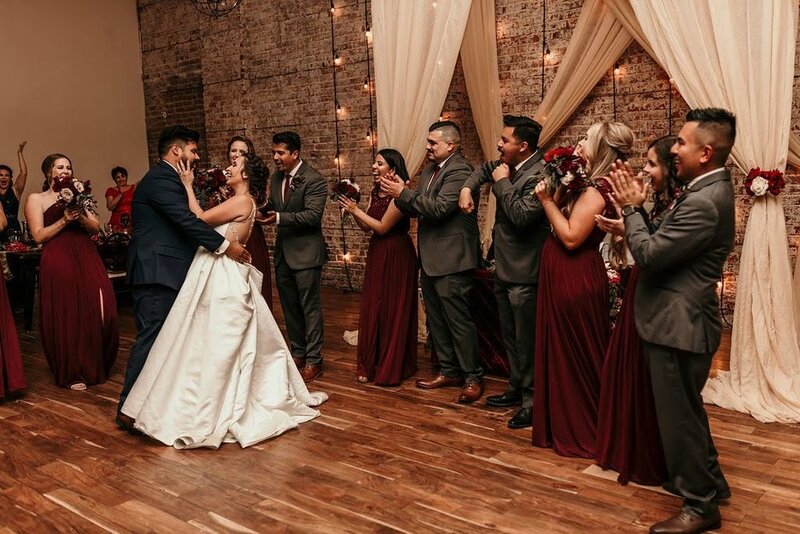 Erin and her team of experienced event and wedding experts have exquisite taste and talent while planning events and create beautiful custom designs to ensure that your event is perfect. In January 1912 the building was built by William R. Mensinger. The three story theatre included a 34 foot wide stage, an Alaskan marbled lobby and seated 900 including the balcony. It opened in August of 1912 and was dedicated on February 6th of 1913 with the production of Gilbert & Sullivan’s “The Pirates of Penzance” presented by the Modesto Choral Society. Around 10 months later the theatre was gutted by fire. On July 9th of 1914 the theatre was rebuilt and rededicated. In 1934 with the State Theatre doing so well the Modesto Theatre was past its prime and closed down turning into retail shops. We are so honored to be ranked as one of America’s 65 Highest-Rated Wedding Venues, According to Yelp.